Little Sisters Weekend is right around the corner! This year it will be Thursday, April 14th - Saturday, April 16th! If you'd like to be a big sister this year please fill out this sign-up here. We'd love to have you to help show prospective students why Illinois is the place to be and why they should choose Engineering at Illinois! If you have any questions about what being a big sister entails, please contact Cassie Jensen at crjense2@illinois.edu. Do you want to be a part of Engineering Open House 2016? Come represent SWE and make an impact on hundreds of attendees by volunteering at SWE’s exhibits on EOH weekend! Volunteers are needed throughout the day on Friday 3/11 and Saturday 3/12, so please fill out this form here with the times you are available. Contact Ashley May at acmay2@illinois.edu. Would you like to save a life in the future? Sign up here for the CPR certificate workshop given by Illinois Emergency Medical Service (IEMS)! You will learn first aid, CPR and AED skills, practice these skills on training manikins and get a CPR certificate from American Heart Association. The signing up deadline is March 21st. We got a big discount from IEMS so you will only need to pay $25 instead of $55 to get this certificate! Contact Xiaodan Wang at xwang167@illinois.edu. We are volunteering at the C-U Special Recreation Center once per month to do science demos and activities with special needs students of all ages. We need a volunteer with a car, so PLEASE consider joining us if you can drive! Contact Rachel Burroughs at rmburro2@illinois.edu. Come talk to members from GradSWE about graduate school! The event is come and go so stop by if you have any questions. Coffee will be provided :) Contact Alex Palasz at palasz2@illinois.edu. Fundraising - Benefit Night at Latea! Come join SWE at Latea for bubble tea and fries! Make sure you say you're from SWE when you're paying. Contact Jennifer Kwon at jhkwon4@illinois.edu. Join the SWE Relay for Life team as they hold their last meeting before the event. If interested in purchasing this year's Relay for Life team shirt, bring $10.25 to the meeting! Contact Lauren Kovanko or Matthew Sim at kovanko2@illinois.edu or marsim2@outlook.com. This semester, we will be volunteering with the Science Olympiad team at Edison Middle School to help them prepare for their competitions! We will be helping with the following events: Wind Power, Meteorology, Dynamic Planet, Food Science and Green Generation. Contact Elizabeth Lee at eslee6@illinois.edu. Each week, we go to Leal Elementary to do an engineering lesson and activity with a kindergarten class! FKO will be occurring on Fridays this semester. Contact Molly McGiles and Megan Fox at mcgiles2@illinois.edu and mmfox2@illinois.edu. Join SWE as we attend Relay for Life to honor cancer survivors, remember loved ones lost, and fight back against a disease that has already taken too much. Relay For Life teams will camp out overnight and take turns walking around a track. Please sign up to be on the SWE Relay for Life team if interested in participating! Contact Lauren Kovanko or Matthew Sim at kovanko2@illinois.edu or marsim2@outlook.com. Come help give food to those in need at Wesley Food Pantry! First part will be an orientation (required) and the second part will be distributing the food. Please sign up here and sign up for the "Volunteer Orientation: 2:30-3:15pm" and "Food Distribution 3:15-5:30pm" on 03/17/2016. Must sign up for both! Also please complete this form as well! Contact Emily Delacruz at edelacr2@illinois.edu. Community Service will be volunteering at the Don Moyer's Boys and Girls Club! If you would like to join us, an orientation is required; contact Lydia Tanner at lxtanne2@illinois.edu for more information. Contact Lydia Tanner at lxtanne2@illinois.edu. Help keep our community clean! Join SWE as we hike down Green St. to take care of our downtown area. Free donuts and drinks are provided! Sign up here. If you have any question, contact Xinhang Li at xli160@illinois.edu. Failed your New Year Resolution to recommit to a fitness life? No worries! We've got your back! > The ladies of Society of Women Engineers proudly present our annual SWEet 5K Run fundraiser which is to be held on April 10th, 2016. Come and hangout with your friends and families around U of I campus while challenge yourself with a 5K race! Sign up here. Contact Shreya Santhanam at smsanth2@illinois.edu. The Membership Enrichment Committee will be kicking off our Mental Health Workshop Series with a Tell Me About Your Day workshop. TMAYD is a movement started by college students to promote open conversation about mental health issues. Want to learn more? Contact Katerina Economou for more information at keconom2@illinois.edu. Please complete this survey here to help SWE Illinois know more about our members. The responses will be aggregated and presented in charts on the SWE website and to corporate sponsors. Contact Chamila Amithirigala at amithir2@illinois.edu. Spring II Intramurals will be starting up the week of April 3rd! Please let me know which sports you would like to play by filling out this survey here by Tuesday, March 15th. Questions? Contact Gina Pfister at gmpfist2@illinois.edu for more information. Professional Liaison mentoring program aims to connect current students with professional alums so that current students can gain valuable guidance regarding academics and career. If you're currently confused as to how you can reach your future goals, join the mentoring program now here! Contact Shrey Maheshwari, Damaris Vera at smahes7@illinois.edu, dvera3@illinois.edu. It's time to get excited; the Relay for Life event is approaching! It's not too late to join the team and be apart of this great experience. All proceeds raised go to the American Cancer Society! Sign up here. Contact Matthew Sim at marysim2@illinois.edu. Come celebrate Pi Day with your sweetest SWEsters! Fill out this form here for preferred times. Contact Farzana Haque at fhaque3@illinois.edu. Professional Liaison mentoring program aims to connect current students with professional alums so that current students can gain valuable guidance regarding academics and career. If you're currently confused as to how you can reach your future goals, join the mentoring program now! Contact Shrey Maheshwari, Damaris Vera at smahes7@illinois.edu, dvera3@illinois.edu. This certificate was created to recognize outstanding members for their contributions to the organization and their participation in many of the main areas of SWE. Eligibility is based on attendance at a variety of SWE events and completion of the application form (due by April 15, 2016). For a list of the required events, see the attached flyer here. Contact Chamila Amithirigala at amithir2@illinois.edu. Marketing - Like us on Social Media! Are you on social media (specifically Facebook, Twitter, Instagram, and Tumblr)? Then like SWE Illinois to get updates and see what's been happening in our section! Just search SWE Illinois on the sites listed above! Also, don't forget to friend Beatrice Swester on Facebook to be invited to SWE events! Contact Lucy Dunderman at dunderm2@illinois.edu. Amanda Luebbers is a Continuous Improvement Engineer at Mondelez International’s Chicago area plant. In this position, Amanda works with several departments to identify productivity and/or financial losses within the plant as well as to develop a plan for preventing future losses. Data analysis plays a large role in investigating the cause of a loss. Amanda enjoys the team atmosphere at of her department as well as having the opportunity to work with multiple functions other than her own. Amanda graduated from the University of Illinois with a degree in general engineering. As a student, she was involved in SWE, the Society of Hispanic Professional Engineers (SHPE) and the Hoeft Technology and Management Program. She recommends being involved with an extracurricular that mimics what you want to do after graduation. For instance, Amanda knew she wanted to go into project management so she led a Team Tech project. She found the T&M program beneficial because the business courses introduced her to skills she uses in her job. Contact Katy Walters at kswltrs2@illinois.edu. Please check our External Announcement Page for external announcements. Copyright © 2016 SWE Illinois, All rights reserved. Please provide feedback (both praise and constructive criticism) using this form for each candidate that you have interacted with. Because members of the nominating committee may not have personally interacted with all applicants, outside feedbackis important in order to fully evaluate each candidate. We are especially interested in evaluating the areas of skills, key leadership characteristics, and accomplishments as they relate to the SWE officer position. Please note that all responses are confidential. Contact the Nominating Committee at SWENomCom2016@gmail.com. Come join us for a presentation about the UIUC MBA program! You can learn about how an engineer can further their career by receiving an MBA and listen to why businesses love hiring MBA students with an engineering background. There will also be a panel of current students to answer any questions you may have. Contact Alex Palasz at palasz2@illinois.edu. Check-in will start in the ARC at 5:30 and dinner will be served at 6. Please don't forget that the dress code is business professional and bring your networking skills! Registration was required so please contact Alex if you're not sure if you registered. Contact Alex Palasz at palasz2@illinois.edu. Come join us at the biggest outreach event of the year! This event allows high school girls from all over the state of Illinois to learn about engineering and its many amazing applications. This year our theme is "There is a Little Bit of Engineer in Every Girl" - come inspire girls with your passion for engineering and build their confidence that they can be engineers too! Sign up here Contact Abbie Gerth & Rebecca Ficht at agerth2@illinois.edu & ficht2@illinois.edu. Pick out a loveable teddy bear to decorate and give to someone special in your life! We will be selling bears in the SWOffice the week before Valentine’s Day (Feb. 8 - 12) for $5 / bear. Contact Vivian Li at vwli3@illinois.edu. Fundraising - Valentine’s Day Chocolate Roses Sale! Buy your BF/GF/Crush/Friends/Yourself roses for Valentine’s Day!! Shower them with love! 1 for $1, 6 for $5, and a dozen for $10. February 8- February 12. Contact Jasmine Kwon at jhkwon3@illinois.edu. Get ready for committee penny wars! Save up your change and get your game on! The committee with the most change will receive a prize! February 8 thru February 29 Contact Jennifer Kwon at jhkwon4@illinois.edu. Come network with Facebook representatives over coffee and bagels! Stop by for as long as you want! Contact Grace Pakeltis at swe-evp@illinois.edu. We have 3 spots left for Women's Bowling! It will be Tuesdays from 8pm-9pm at the Union, starting tomorrow! Please sign up here if you want to participate. After you sign up you will be contacted with information on how to register. You will also need to turn in a $10 deposit to the SWOffice which will be returned after each game. Contact Gina Pfister at gmpfist2@illinois.edu. Tired of dorm food or cooking for yourself? Come on out to the Wesley Foundation for $5 unlimited pancakes! 100% of the proceeds will benefit the American Cancer Society and your $5 donation will go directly to your Relay For Life team (SWE!)! Not signed up for Relay yet? Sign up at the event ($10) and you'll receive pancakes for free!! Comfort food, no work, and a great cause? Nothing could be better! Contact Lauren Zelaya at zelaya2@illinois.edu. Mark your calendars! February 11th at 5pm, Dr. Mike Yao from the College of Media will be hosting a workshop discussing the psychology behind social media and advertising. Refreshments will be served! Contact Lucy Dunderman at dunderm2@illinois.edu. Sign up here for an awesome week of everything from karaoke to photo scavenger hunts to donating to charity. That’s right, E-week is here once again! Both noncompetitive and competitive team members should sign up using this form here by February 12th. Contact Carly Staser at cstaser2@illinois.edu for more information. Each week, we go to Leal Elementary to do an engineering lesson and activity with a kindergarten class! FKO will be occurring on Fridays this semester. Contact Molly McGiles at mcgiles2@illinois.edu. Friday, February 12 | 6:00 PM - 8:00 PM at Upstairs Firehaus! Bring your crush to meet your favorite SWEsters and have some pre-Valentine’s Day fun! Alternatively, come scope out the cuties present and find a new crush to take out on Sunday ;) There will be FREEE snacks and pop! All ages are encouraged to come (: Contact Katie Peck at kepeck2@illinois.edu. Need dinner plans? Come chat with Shreya as she presents about her trip to Cuba this winter break! POTBELLY's will be provided! RSVP here, first-come, first-served. Contact Katerina Economou at keconom2@illinois.edu for more information. Required orientation to attend all future volunteer trips to the Don Moyer Boys & Girls Club, and the only orientation offered on campus! See how you can help create a fun environment for the children who utilize this organization! Contact Lydia Tanner at lxtanne2@illinois.edu for more information. Come listen to members from GradSWE talk about what grad school is and all the different options that can be open to you after grad school! It will be an informal session so feel free to come at any time and ask your questions! Contact Alex Palasz at palasz2@illinois.edu. Come to our first E-Week Team Meeting! We will be going over the schedule of events and details including which events we are hosting, and how to ensure victory for Team SWE! Haven't signed up to be on the team yet? Register here to be a part of the most eventful week of the year. Contact Carly Staser at cstaser2@illinois.edu for more information. Thinking about job and internship applications? Have job and internship interviews coming up? Come learn about behavioral interviews and interviewing tactics from an engineer working at Medline. If you have any questions, or want to know how to better present yourself at interviews, or just want to learn more, this is the event for you! Contact Katherine Chung at katkeichung@gmail.com. Come talk to our current grad students about their experiences in grad school and get your questions answered! This is a casual session so come and go as you please. Coffee will be provided! Contact Alex Palasz at palasz2@illinois.edu. Sign up to be a challenger here!! Not much for competition? Come out to support your favorite engineering wizard, purchase your tickets to see the show for $5 in the SWE Office! Deadline for challenger application: Feb 13th, Saturday 11:59pm. Contact Xiaodan Wang at xwang167@illinois.edu and Lauren Zelaya at zelaya2@illinois.edu. The Leadership Buddy Program's February Workshop is just around the corner. Join us on Wednesday, February 24 at 7PM as we discuss this month's topics of Courage and Communication. We'll be discussing all things career fair and networking. Anyone is welcome to attend! Contact Andrea Lucas at ablucas2@illinois.edu. Celebrate cultural diversity in Engineering with SWE at International Taste of SWE! Students are invited to represent their cultural identity by bringing a dish from their countries. Additional information about the food and other supplementary artifacts, posters, and pictures are also welcome. Come share your own culture and celebrate others! Fill out this form to commit to providing a dish to share. RSVP for the event here. Contact Nicole Vail at nvail2@illinois.edu. Are you a spelling BEAST? Join us in the first UIUC Engineering Spelling Bee! This is a fundraising event to raise money for UIUC Suicide Prevention and a Scholarship Fund all in honor of Rebekah Schiff-Berger, a former SWEster here at the UIUC. Sign up here! Know a great professor you would like to see judge - or better yet - participate in the spelling bee? Nominate your favorite professors here! Contact Lauren Zelaya at zelaya2@illinois.edu. Come help us plan events to help improve professional development skills. Everyone is welcome :) Contact Alex Palasz at palasz2@illinois.edu. The Outreach committee is starting to prepare for Engineering Open House in March! Our exhibits this year will be Girls' Club, Pinball Machine, and Air Hockey Table. If you're interested in helping to build some awesome science/engineering projects, please fill out this form here! Contact Jennifer Zupancic at zupanci2@illinois.edu. Let us know what you want to do for a SWE-wide bonding event! Please fill out this form here! Contact Farzana Haque at fhaque3@illinois.edu. Want to gain leadership experience, build your network, make friends, and be a role model? Apply to be on the 2016-2017 SWE Officer Board! The first step is to fill out the online application by February 1st. We can't wait to see the impact YOU will have on SWE UIUC. Questions? Contact swenomcom2016@gmail.com. We are looking for volunteers to guide local Cadette Girl Scouts in earning their Special Agent badge. If you want to come spend a few hours leading fun activities in fingerprinting and DNA extraction from bananas you can sign up here! Contact Laura Briney at brineylr@gmail.com. Come join us for our first professional dinner and networking opportunity of the semester! Please register here by February 1st and turn in your $5 deposit by February 3. IF YOU DO NOT TURN IN YOUR DEPOSIT, YOU WILL NOT BE ORDERED A DINNER so please be sure to turn it into the SWOffice as soon as possible! If you are not a national member of SWE, Theta Tau, or NOBE, then the cost of the event is $20. Contact Alex Palasz at palasz2@illinois.edu. Interested in getting involved with undergraduate research and learning how to present your work to the community? Come learn more about the Illinois Scholars Undergraduate Research (ISUR) program! There will also be current students to answer your questions. Contact Alex Palasz at palasz2@illinois.edu. Get ready for committee penny wars! Save up your change and get your game on! The committee with the most change will receive a prize! Contact Jennifer Kwon at jhkwon4@illinois.edu. Come learn about engineers week with SWE! If you have no idea what E-week is come learn about this fun week of competition between engineering societies and how to be part of it. If you’ve participated before, come learn about some changes to the show. Either way come spend some time with us, ask your questions, and get excited for the best (and craziest) week of the year! Contact Katerina Economou at keconom2@illinois.edu or Carly Stater at cstaser2@illinois.edu for more information. Intramurals are here! We are doing Women's Bowling! Please sign up here. If you want to participate. Due to roster limits, we can only accept five players on a first-come, first-served basis. The first five people to sign up will be contacted with information on how to register. You will also need to turn in a $10 deposit to the SWOffice which will be returned after each game. Everyone else will be put on a waiting list. Questions? Contact Gina Pfister at gmpfist2@illinois.edu. Contact Katie Peck at kepeck2@illinois.edu. Join us and learn what ME/S is all about! We plan a wide array of events all year, ranging from workshops to semi-formal! All ideas are welcome, and we would love to have you. Contact Katerina Economou at keconom2@illinois.edu or Katie Peck at kepeck2@illinois.edu for more information. This semester, we will be volunteering with the Science Olympiad team at Edison Middle School to help them prepare for their competitions! If you’re interested in making a difference for these students, please fill out this survey here to let us know what days most volunteers are available. Contact Elizabeth Lee at eslee6@illinois.edu. Welcome back SWEesters! Come see what is SWE will be doing this spring semester. There are new leadership positions and new events for you to get involved in!! Contact Grace Pakeltis at swe-evp@illinois.edu. Start off the year right with delicious bagels and juice with other SWE members! Contact Ashley Williams at awill35@illinois.edu. Want to know what other minority-interest organizations are all about? Interested in the goals and perspectives of the organizations? Wondering how to get more interested in the groups? Please come to the Minority Town Hall, co-hosted with NSBE, SHPE, and other organizations! Refreshments will be served! Contact Ashley Williams at awill35@illinois.edu. Interested in being involved with SWE on a larger scale? Want to network with SWEsters all throughout the Midwest? Apply to be on the Region H Collegiate Leadership Team! Application can be found here. Please note if you are placed on the ballot, you will be required to give a brief speech at the 2016 Region H Conference. Questions? Contact Emily at matijev2@illinois.edu. Missed the first semester application round for chair positions? Are you a new member who wants to get involved with SWE? Apply here for open chair positions here! Applications close on Friday, January 29th at 11:59pm. Contact Ashley Williams at awill35@illinois.edu. Fill out this form here. The SWE Leadership Buddy Program is back for its second year! This mentoring system was started last year for members within SWE to learn more about how to be more involved and succeed in SWE and how to obtain and maintain leadership roles within SWE. Mentees, which include freshmen, sophomores, and anyone else interested in becoming more involved, will be paired up with a mentor, such as a juniors or senior who has been active in SWE, served as an officer, and / or has been on the Exec Board. This program is highly encouraged for underclassmen who would like to learn how to get more involved in SWE, especially with leadership positions! Our first event will be at the end of January, so stay posted for more information to come! Contact Andrea Lucas at ablucas2@illinois.edu. If you are applying for a SWE Officer Board position, the nominating committee would like to invite you to "Tea with SWE"! Past officers will be available to discuss their positions and review the opportunities and responsibilities of being a SWOfficer. This is a great opportunity to network and enjoy tea and cookies! Questions? Contact swenomcom2016@gmail.com. The Outreach committee is in need of 3 new chairs for next semester! We are looking for SWEsters to fill the following positions: CU Special Rec, FKO, and Project Development. Keep an eye out for the committee chair application in the first SWEekly of next semester, and let us know if you have any questions in the meantime! Contact Ashley May & Lara Flasch at ashleycmay@gmail.com & lflasch2@illinois.edu. Want to inspire young students to pursue engineering? Then volunteer for Step Up! Step Up is a monthly Outreach event for 8th graders at St. Matthew School. We will do activities to teach students about the different engineering disciplines! Our first event will occur the week of 1/25/16. Please fill out this availability form here if you’d like to help so we can determine a date! Contact Katherine Kiang at kathk15@gmail.com. Come learn about how you can help raise money for SWE! Contact Shreya Santhanam at smsanth2@illinois.edu. If you are graduating this semester but want to stay in touch with SWE, sign up here to be a part of our Professional and Alumni Database! You will be invited to events such as the Alumni Brunch and various lunches and networking events. Contact Alex Palasz at palasz2@illinois.edu. We want to get to know YOU! Have an interesting hobby or passion? Let us know about it at the next Meet & Eat! Fill out this survey here by January 31st and let us know what you're interested in. Contact Katerina Economou at keconom2@illinois.edu for more information. 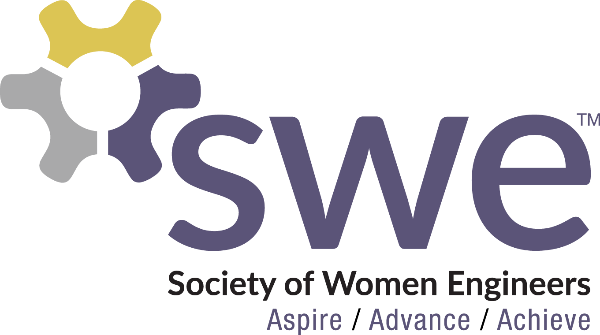 National SWE recently started a program for students 18 and under called SWENext. Our 2,500 SWENexters tend to be juniors and seniors in high school and are most interested in scholarships, meeting women engineers and engineering students. SWE is seeking SWE college students to act as ambassadors on the Facebook page. As an ambassador, you would be responsible for posting content on the SWENext Facebook page at least once a week. You would also be required to engage and respond to conversations started by other ambassadors or SWENexters. We are starting the page with a focus on scholarships and the college application process, but as the page grows, SWE hopes it can become a forum for many other topics. If you are interested in being part of this growing community, please take three minutes to apply here! Contact Chamila Amithirigala at amithir2@illinois.edu. Please check our SWE at UIUC Website for external announcements. Fill out this form here. Contact Andrea Lucas at ablucas2@illinois.edu. Companies are searching for talented women in STEM. Submit your resume to the SWE resume database so employers can find you! If you have any questions, contact Anjolika Bhadra-Dave at bhadrad2@illinois.edu. The Outreach committee is starting to prepare for Engineering Open House in March! Our exhibits this year will be Girls' Club, Pinball Machine, and Air Hockey Table. If you're interested in building some awesome science/engineering projects when spring semester starts, please come to this informational meeting to learn more about how you can help. If you're unable to come but still want to help out, submit your contact info on this form here. Contact Abby Pakeltis at pakelts2@illinois.edu. Destress before finals! Sign up here in teams up to three. $10 for registration. If your team wins first place each participant will will a $5 gift card. Honorable mention and participants favorites will also win a prize. Contact Shreya Santhanam at smsanth2@illinois.edu. Studying for finals got you down? Come hang out in the SWOffice to take a break from studying, eat some yummy snacks, and hang out with other SWEsters! Contact Andrea Lucas at ablucas2@illinois.edu. Last Fall Semester Team Tech Committee Meeting! HEY~ Come out to Team Tech's last committee meeting this Tuesday at 5pm! It's never to late to join. All engineering majors welcome and needed. Contact uiucteamtech@gmail.com. Next semester, we will be volunteering with the Science Olympiad team at Edison Middle School to help them prepare for their competitions! If you’re interested in making a difference for these students, please fill out this survey here to let us know what days most volunteers are available. Make sure to fill out NEXT semester’s availability. Contact Elizabeth Lee at eslee6@illinois.edu. The Outreach committee is starting to prepare for Engineering Open House in March! Our exhibits this year will be Girls' Club, Pinball Machine, and Air Hockey Table. If you're interested in helping to build some awesome science/engineering projects when spring semester starts, please fill out this form here! We will be holding an information session soon (TBD) to tell you more about our project plans. Contact Quyen Nguyen at qnguye@illinois.edu. Please fill out this interest form here. This is a form to see who would be interested in participating in this chocolate bar fundraiser. Contact Jasmine Kwon at jazkwon95@gmail.com. The 2016 SWE Region H Conference will be held February 26-28, 2016 at University of Wisconsin in Platteville, WI. SWE will be organizing transportation to and from the conference for selected attendees. This is a great opportunity to see what SWE conferences are like, attend fascinating workshops, network with other collegiate SWE members and professionals, and bond with amazing UIUC SWEsters! Apply here. The application closes on Sunday, December 6th at 11:59pm. NO late applications accepted! Contact Ashley Williams at awill35@illinois.edu. Come see the upcoming events for the semester as well as hear from John Deere. Contact Grace Pakeltis at swe-evp@illinois.edu. Come eat free Panera delicious bagels and drink juice with other SWEsters in the morning! Contact Ashley Williams at awill35@illinois.edu. SWE is looking for volunteers to sign-up to sell baked goods on the Quad on Monday, November 30th and Tuesday, December 1st from 12pm-4pm. Even one hour of your time would be a great help. All proceeds go to the Relay for Life fundraiser to support the American Cancer Society. Sign-up today here! Contact Matthew Sim at marysim2@illinois.edu. Interested in the Technology and Management Program? Come learn more about applying for the T&M Minor and the opportunities it offers students. Following the informational presentation, we will have a panel of T&M students to answer questions! Contact Ambika Dubey, Geethi Loganathan at adubey3@illinois.edu, geethi.loganathan@gmail.com. We are volunteering at the C-U Special Recreation Center once per month to do science demos and activities with special needs students of all ages! We NEED a driver for this event, so please let us know if you would be willing to drive. Contact Blake Banks at jbbanks2@illinois.edu. Join in the fight against cancer by coming to watch everybody's favorite holiday film, Elf! Refreshments and tissues will be sold; $2 entrance fee goes towards SWE's Relay for Life team and the event in March. Contact Matthew Sim at marysim2@illinois.edu. FLL is a Lego robotics competition for middle school students. They build and program a robot, research a solution to a real world problem, and develop their teamwork skills. It's truly inspiring to watch these kids at work! The tournament runs from about 8-4, in addition to setup the night before. The positions we need people for are: table resetter and hallway monitor (8-3), practice table monitor (7:30-12 or 11-3), Timer/Music AM/PM (8-12 or 12-4). This year the tournament will be located at Parkland College: there are buses that go there and we can set up some carpooling. Email nothof2@illinois.edu with any questions. Register here. Are you interested in putting your engineering degree to use outside the US? There are plenty of opportunities for you while you are still an undergrad and after you graduate! Join various RSOs, get scholarships, or participate in school-sanctioned programs to send you abroad on adventurous engineering tasks. We’ll be bringing in Engineers Without Borders, one of the premier RSOs on campus designed to get engineers involved with international engineering projects; the National and International Scholarships Program, a UIUC office designed to publicize scholarships and help applicants write their applications; IPENG, the program through the university to send students abroad for a semester or over the summer; and LINC, introducing an opportunity to get involved with the Global Health Initiative on campus! We’ll have free food while you learn about great opportunities to make a difference outside the US. The ISAWWA Safe Water Scholarship Program provides financial assistance to students pursuing degrees or certifications related to the water industry. Our goal is to encourage more people to consider career paths in the water industry, which is critical to preserving public health and our most important natural resource – clean, safe drinking water. In 2015, we distributed $5,000 in scholarships among five very deserving winners. Applicants must be enrolled in or accepted into a water-related secondary or continuing education program for the 2016-2017 academic year (including summer term 2016) by the application deadline of January 31, 2016. Applicable secondary education programs include water-related operator training programs, technical school, community college, four-year college, masters, doctoral, and business/management degree programs. The application form is available online at http://www.isawwa.org/?ScholarshipApp. 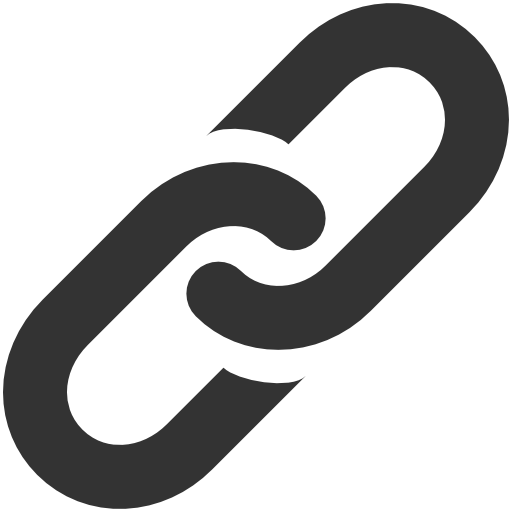 At the top of the page you’ll find a link to a recorded webcast that provides tips for completing your scholarship application. Applications must be submitted online by January 31, 2016. Recommendation letters, transcripts, and anything else mailed separately must bepost-marked by January 31, 2016. Good luck! Come have delicious bagels and juice in the SWOffice with old and new friends! Contact Ashley Williams at awill35@illinois.edu. Interested in working with young STEM lovers? Franklin Middle School in Champaign is looking for university volunteers to be pared up with middle school student groups for the competition. Want more details, or would like to sign-up? Click here! Contact Lauren Zelaya at zelaya2@illinois.edu. Curious about the benefits of attending the SWE annual conference? Come join us for lunch and learn powerful lessons attendees took away from this years conference. We will be sharing tips and insight acquired from attending the conference so that you may benefit from them in your academic and professional career! Please RSVP here for lunch! Contact Lana Stekovic at stekovi2@illinois.edu. Curious about how you can get involved with raising money for cancer research? Join SWE's Relay for Life committee to learn about all the ways you can help out and fundraise for the American Cancer Society at the Relay for Life Info Session. Contact Matthew Sim at marysim2@illinois.edu. Wednesday, November 11 | 9:00 PM - 2:00 AM at Green Street! Come blow off some steam with Women in STEM! Line-up will be Bros, Firehaus, White Horse, KAMs(: Shirts for sale in the SWOffice or at THIS link!!! Join the Facebook Event for updates! Contact Katie Peck at kepeck2@illinois.edu. The SWE intramural volleyball team will play Wednesday nights from 9-10 at the ARC! To join the team, create an account on the link here. Use your UIN for the participant number. Once you're signed in, click on Join a Team and select SWE from the drop-down menu under "Team." The password is swolleyball. Accept the terms and conditions and click "join." You must do this before 2pm the day before a game to play in that game, so join the team by 2pm on Tuesday if you want to play this Wednesday! Hope to see you there! Contact Gina Pfister atgmpfist2@illinois.edu. Join us at the Bread Company on Goodwin for a networking opportunity with local professionals and tasty food! You do not have to stay for the whole time. Come decorate pumpkins for $4 with SWE on November 12! Stop by anytime between 5:30-7PM. 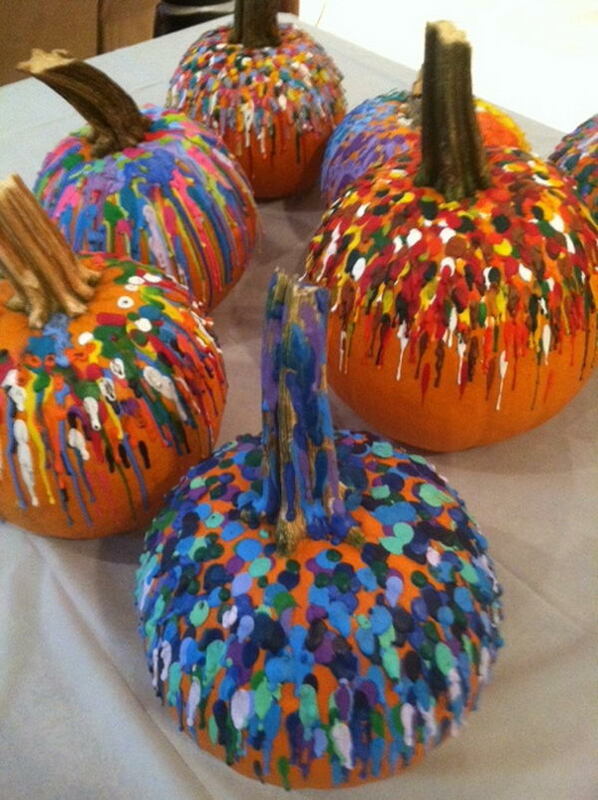 We'll be combining the best of crayon melting art and fall decorations. Crayons and pumpkins will be supplied. Sign up here to reserve a pumpkin. Check out the example here. Contact Vivian Li at vwli3@illinois.edu . We are volunteering at the C-U Special Recreation Center once per month to do science demos and activities with special needs students of all ages! We NEED a driver for this event, so please let us know if you would be willing to drive! Contact Blake Banks at jbbanks2@illinois.edu. Come join us to sell football concessions! Sign up here. Contact Katherine Yun at myun7@illinois.edu. This is a super awesome tailgate for the Football game against Ohio!! It will start in the morning (possibly 9, depending on TBD game time), until whenever everyone is too cold to be out there anymore!! There will be tents set up, bags to play, and most importantly FOOD to eat!! We will also be having the burger cook off again, which was a huge hit last year! Tickets will be $8 regular or $6 if you make a King Dad nomination! There will be soda/water there, but feel free to bring your own cooler... Don't miss out on all of the fun!!! See you there! Tickets for sale in the SWOffice. Contact Natalie Hamilton at nmhamil2@illinois.edu. Check out their flyer about the IBC Open House here. The University YMCA is offering two scholarships, one for students who are traveling for international projects and the other for students interning with non-profit and public agencies. The Fred S. Bailey International Travel Scholarship program will fund up to 75% of the total cost of international travel with a service component. Awards range from $600-$1800. Eligible applicants must have been involved in the program (academic or extracurricular) for a minimum of one semester before traveling. Recipients will be selected on the basis of their demonstrated commitment to the project/program, long-term career goals in international development or related fields, the trip's potential impact on the student's learning and professional development, potential for positive impact on the host community and financial need. The UIUC College of Engineering, in collaboration with the UIUC College of Education, is starting a program this year to work with students in the Chicago Public School (CPS) system. We are planning to send engineering student volunteers to Chicago on three Saturdays during the semester to help teach 7th graders in a pre-algebra and physics curriculum, and get them excited about STEM fields. This is an incredible opportunity to make a difference for students who really need it! Food, t-shirts, and transportation to Chicago will be provided free of charge to volunteers. If you’re interesting in helping out or would like to learn more, contact Sahid Rosado Lausell at srosado2@illinois.edu. Are you finishing up your undergrad degree in CS, CE, Cybersecurity, EE, ME or Mathematics and planning to enroll in a Master's program next fall?If you have a GPA of 3.2 or higher, and are interested in a career in national security, then check out Sandia National Labs Critical Skills Master's Program, or our Master's Fellowship Program for underrepresented minorities. Positions are available at our Albuquerque, NM and Livermore, CA (Bay Area) locations. If selected for one of these prestigious programs, you will be hired by Sandia and enter graduate school full time to pursue your technical discipline master’s degree. Sandia pays for your tuition and a stipend while in school. Following degree completion, you return to Sandia and start your life changing science or engineering career. Sandia does national security work that is beyond the scope or means of most private organizations, pushing frontiers at the edge of science and engineering. And what we do matters. Our technologies—which make our nation safer, improve human and environmental health, and even boost the competitiveness of U.S. industry—can truly change the world. That’s why we can offer you a career that has the power to change your life. Working here, you’ll join some of the top minds in the country in solving difficult challenges in electrical engineering, mechanical engineering, computer science, and cyber security. In addition to working at the forefront of technology on problems of real significance, you can expect competitive pay, top-notch benefits, and a work-life balance that gives you time to enjoy family, friends, and the rich cultural, educational, and recreational opportunities that surround our sites in Albuquerque, NM, and Livermore, CA. Take your chance to change the world—and experience the changes in your life. Sound interesting? Please apply online at www.sandia.gov/careers. Under “Job Family”, select “Special Degree Program” or do a keyword search using CSMP or MFP. If this is not the right program for you, check out our regular positions, internships and post doc jobs at www.sandia.gov. Have you wanted an international experience, but don't have time in your schedule for study abroad? Apply to be a field representative for Saha Global in Ghana this winter, December 28th to January 18th. You will have the opportunity to make a lasting impact on a rural community in Ghana by offering clean water or solar electricity. If you want more information check out their website here! Applications are due by October 30th! Questions? Contact Cassie Arenz at arenz2@illinois.edu. Learn what it's like to work at a startup and to live abroad by checking out Sage Corps at the study abroad fair. We send college students abroad to intern at startups in London, Dublin, Hong Kong, Paris, Buenos Aires, Tel Aviv, and more. This is not your typical internship. You will not be pushing paper, getting coffee, or copying files. You will be helping a startup grow by coding, developing, designing, building hardware, selling products, creating business strategy or attracting investors. Sage Corps will build your resume and you will come back to the states with real skills. Our past students have leveraged their internships for top jobs in tech, consulting, investment banking, engineering and more. Details can be found here. Feel free to email campusrelations@sagecorps.com with any questions. Check out the Suicide Prevention materials here, and the Trauma Response resources on campus here. Interested in being a mentor for high school students interested in STEM fields? Alumna Shobana Radhakrishnan has founded TekSpark, a company geared toward inspiring and empowering students in STEM. Details about the mentor program can be found here. Companies are always looking for people who take initiative, have leadership skills, and are willing to lend a hand to others. Take advantage of this opportunity to help a future engineering student! If you are interested in signing up for the program you can do that here! Questions? Contact Robin Ennis or Angie Wolters at wie@illinois.edu. Fill out the Safety Shoe Survey! The survey should take no longer than 5 minutes. We are entering people who complete the survey a chance to win a $50 Amazon gift card. Contact Emily Lafferty at ekl5029@gmail.com. Come spend time at the mall by selling Community Coupons to fundraise for SWE! Sign up at here. Contact Akshaya Thananjeyan at thnnjyn2@illinois.edu. Help SWE raise money by selling coupon books on campus. Pick up booklets at the SWE office! Make sure to give your netID and write down the number of books you take and return the ones you don’t sell or you may be charged. This is running from October 14 onward. Contact Akshaya Thananjeyan at thnnjyn2@illinois.edu. The SWE intramural volleyball team will play Wednesday nights from 9-10 at the ARC, starting this Wednesday, November 4th! To join the team, create an account on the link here. Use your UIN for the participant number. Once you're signed in, click on Join a Team and select SWE from the drop-down menu under "Team." The password is swolleyball. Accept the terms and conditions and click "join." You must do this before 2pm the day before a game to play in that game, so join the team by 2pm on Tuesday if you want to play this Wednesday! Hope to see you there! Contact Gina Pfister at gmpfist2@illinois.edu. Come hang out with some SWEsters and eat free Haus fries!!! Contact Katie Peck at kepeck2@illinois.edu. Mommy, Me, and SWE is an exciting day of hands-on engineering activities for 4th-6th grade girls and their mothers. Come help us show girls that engineering is fun and meaningful, and that they can be engineers, too! Sign up here. Contact Rebecca Boehning & Liz Gacek at boehnin2@illinois.edu & egacek2@illinois.edu. Come blow off some steam with Women in STEM! Line-up will be Bros, Firehaus, White Horse, KAMs(: Contact Katie Peck at kepeck2@illinois.edu. We are volunteering at the C-U Special Recreation Center once per month to do science demos and activities with special needs students of all ages! Contact Blake Banks at jbbanks2@illinois.edu. Join Community Service as we plan events to help our campus, our community, and our world! Contact Lauren Zelaya at zelaya2@illinois.edu. Don’t miss out on DSAC's Last Lecture series. Various Deans will share their perspectives on life as they mimic the "last lecture" of their careers. It’s a great way to get to know the Deans. Come along with a friend! Dean Brunet will be launching the first lecture. Contact Monica Ngo at mngo2@illinois.edu. BADM 395 - Creative Business Thinking and Problem Solving - is the first step in a pilot program for a Consulting Academy on campus in the near future. This course will connect students across the Colleges of Business and Engineering to our 11 corporate sponsors and prepare students to begin their career in consulting. Students will learn how to approach strategic thinking and ace a case interview among other skills. The class will take place next semester and is on Fridays from 11-1. To learn about the course and apply, please visit a course information page by clicking here. If you have any questions please feel free to email me at badm395.ica@gmail.com.